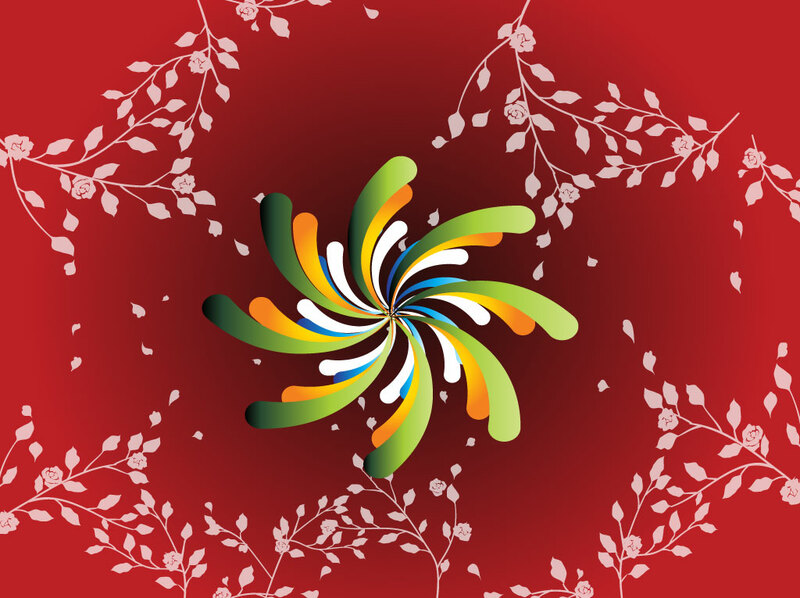 Abstract swirl icon in diverse radiant colors on floral backdrop. Free vector download featuring a red radial gradient background image with pink rose patterns and a center design of colorful swirls in a spiral pattern. The bright colors in the spiral graphics make a nice contrast to the backdrop and make this a great design elements pack for your innovation or business communication. Perfect greeting card in the making; just add your personal message! Tags: Circular, Flowers, Innovative, Movement, Plants, Spring, Twirl, Vitality.